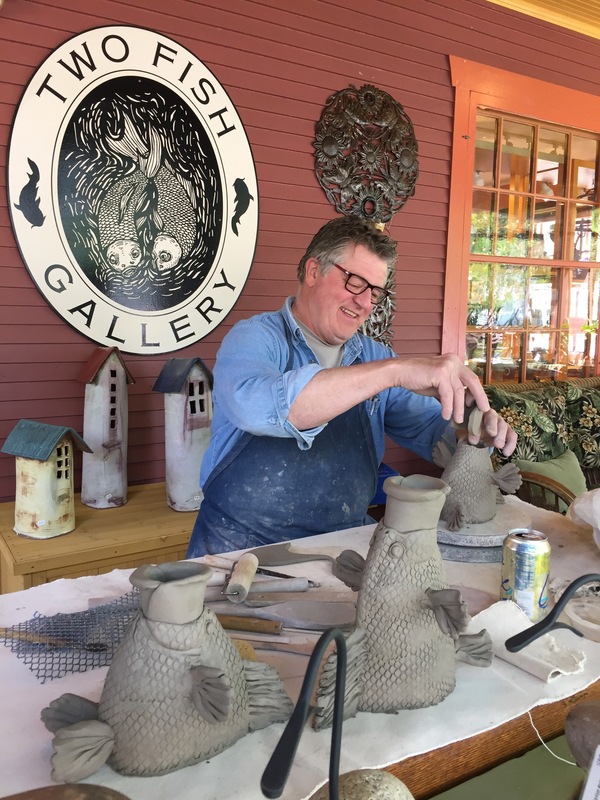 It wasn’t until the last semester of his senior year when ceramics entered the mix, and Robison found his greatest passion. “Life provides each of us with a unique chronology of experiences. If we watch and listen, the journey reveals an inner truth that becomes our passion.” Three years later, he completed his master’s degree in ceramics. Robison creates a variety of utilitarian pieces such as stoneware for daily use, along with bird baths, bird houses, and garden sculptures. He describes his work as visceral. “Its sensuality enamored me from the very first touch and has inspired a style of work that strives to retain a visual softness even after the pieces are kiln fired. Clay is one of earth’s most abundant and magical materials. Responsive when wet, fragile when dry, then hardened by its unpredictable journey in the kiln firing.” Through this process, he has learned to “embrace the failures and successes that provide both humility and elation.” He often includes metal, wood, wire, fiber, and found objects in his sculptural pieces. He is currently working on a series of fused and slumped glass forms that include clay and fiber components. To learn more, please visit Patrick Robison online at twofishgallery.net.